More than ONE BILLION people risk permanent hearing loss from loud sounds. That’s the stark warning from the World Health Organization and it’s one that has particular importance for me as someone who already has diagnosed hearing loss. Hearing protection expert Stephen Wheatley says: “For most of us, the idea of losing our hearing is worrying – but it won’t to happen us, will it? 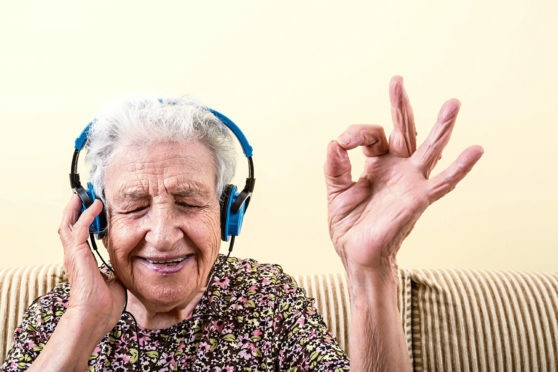 “The answer is, it probably will and with the massive increase in headphone use by people of all ages, many of us are unwittingly heading towards serious hearing loss. “Also, as we age, the chances are that we have already sustained some hearing damage. “You may think that’s it, all part of the ageing process but if your hearing has been damaged, although it cannot be repaired, you can certainly take steps to prevent it from being damaged any further. “For around five million years, hearing has enabled us to communicate with other humans and to stay safe. “Then, about 150 years ago, the loudspeaker was invented and we started to listen to reproduced sound. “In the last 15 years, there has been a dramatic increase in smartphones and digital media, most of which is best consumed wearing headphones. “Unfortunately, evolution has not caught up. Our ears are like those of our ancestors millions of years ago – they are simply not designed to listen to four or five hours of music every day. Explaining the science behind all this, Stephen says: “Human beings have about 15,000 auditory hair cells in each ear at birth. “You don’t get any more and when they are gone they are gone, and so is your hearing. “Regular, repeated exposure to large sound doses can cause irreparable damage to the hair cells within our ears. And, unfortunately, this damage can take a long time to show up. “What is a sound dose? A sound dose is a complex calculation. It takes into account how long you listen for, how loud you listen and the energy content of what you listen to. “For example, speech is low-energy content. You can listen for a long period at a high volume without experiencing a very high sound dose. “But electronic dance music has a high energy content so will give you a large sound dose in a shorter period, and classical music sits in between the two. “As a result of high-profile campaigns, the majority of headphone users are now aware of the risks yet few of them take action. “Until recently, the only tool available has been a volume level warning on their device. If obeyed, however, it can make the content inaudible in many listening situations. “Trains, for example, can be so loud, many users ignore their device’s warning. They compensate by turning their volume up to a damaging level. Long term, this will damage your hearing for good. “We don’t want to, and nor could we, stop headphone use but we can be smart about it. We can manage our daily exposure to make sure that we don’t overdo it and that if we do, at least we will know about it. “You could start by downloading a hearing safeguarding app for your headphones. “For example, HearAngel will give you information on your exposure. “Much like a Fitbit monitors your physical activity, the app will let you know when you are overdoing it and you can make informed decisions. “There is also optional automatic protection and parental control so you can safeguard your children or grandchildren’s hearing. “Consider the headphones you use. If you listen on public transport, upgrade your ear buds to good quality ‘over-ear’ headphones. “Not only will the sound quality usually be better, the over-ear cups will reduce the background noise. That means you can listen at a lower level, extending your safe listening period. “If you regularly travel on noisy public transport, buy some active noise-cancelling headphones. “These headphones use clever electronics to reduce the background noise and this allows you to further reduce your listening level and extend your safe listening period. “Please don’t sleepwalk into hearing loss. It takes a while to become noticeable but when you do notice it, the damage is already done – it’s permanent and it is too late. Stephen Wheatley has spent six years creating occupational hearing protection solutions and is one of the founders of HearAngel – a smartphone app that helps you protect your ears from damage while using headphones.